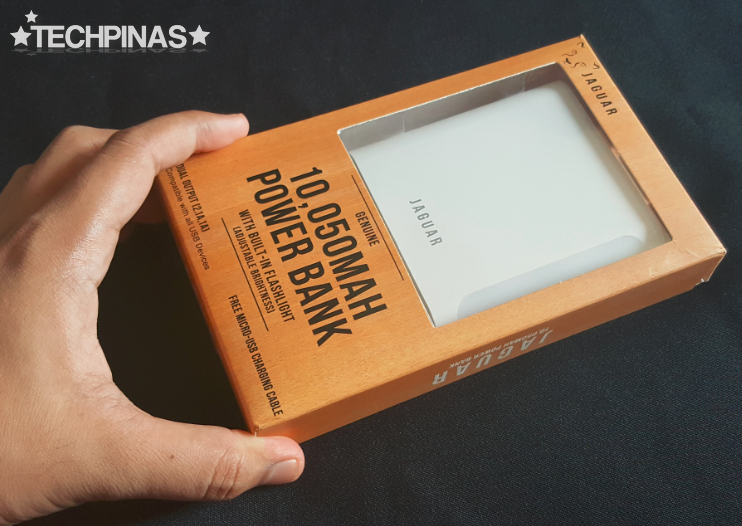 I just want to show you one of my favorite powerbanks currently. 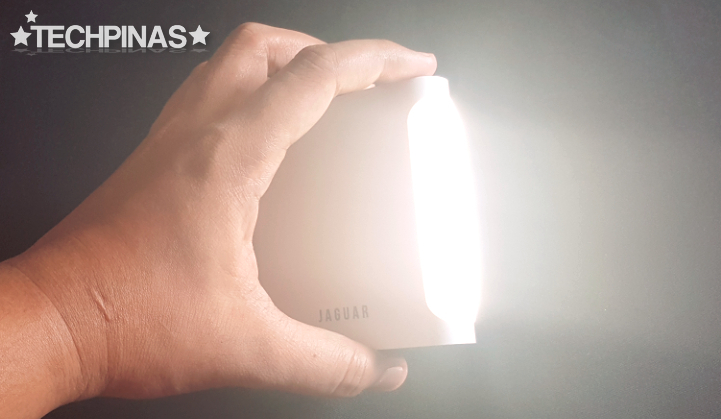 This one I think is perfect for adventurers like hikers, spelunkers, or campers who need not only extra juice for their mobile devices when they are acting on their wanderlust away from a power outlet but also a bright light source at night or in dark places like caves and caverns. 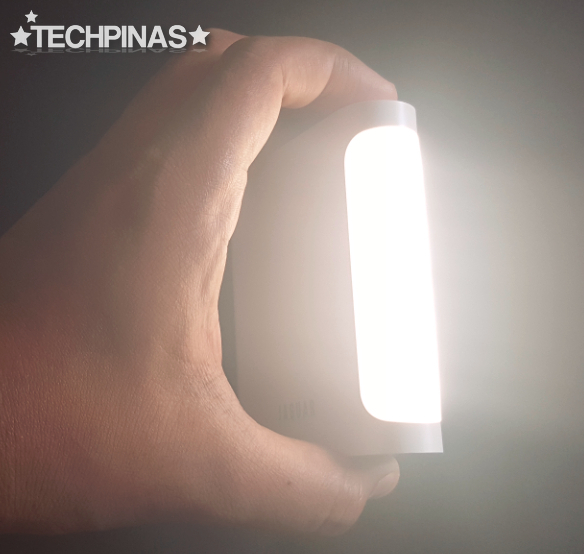 Heck, you can even use it as an emergency light at home when there are brownouts or as a light source when taking photos or videos -- kinda like a light-box. Your imagination is the limit, really. 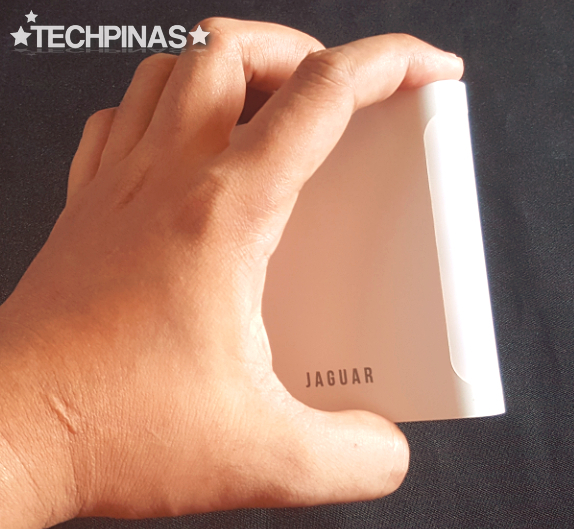 I got my Jaguar Powerbank from Kimstore last week for Php 550 -- and off hand, I think it really gives great value for money. It's well worth every cent. 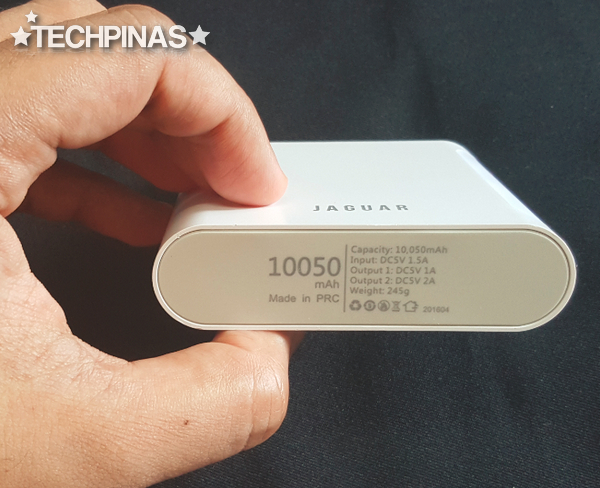 I mean, not only does it have a large 10,050 mAh capacity - enough to fully charge my ZenFone 3 three times - but it's also protected against overcharging, short circuit, and overheating. 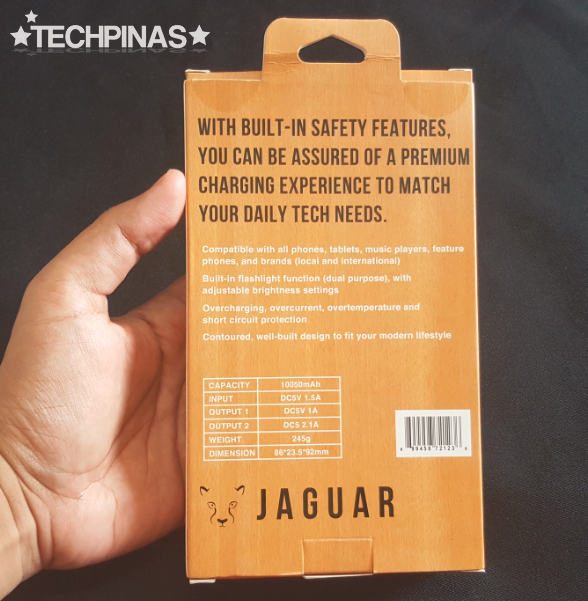 The package comes with a free microUSB charging cable. 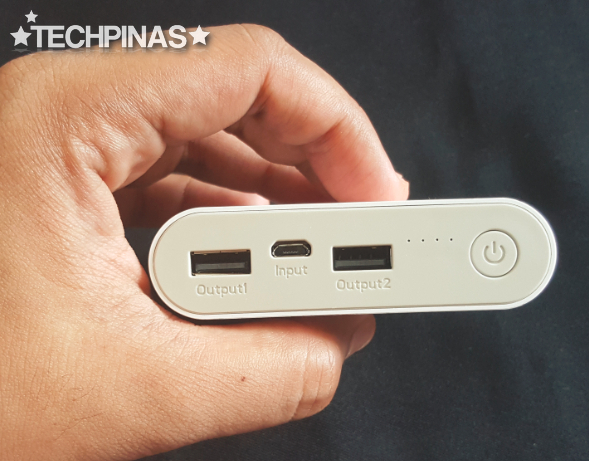 You can use this chord for charging a smartphone or tablet with microUSB 2.0 port and for charging the powerbank from the electrical outlet using your device's mobile charger. 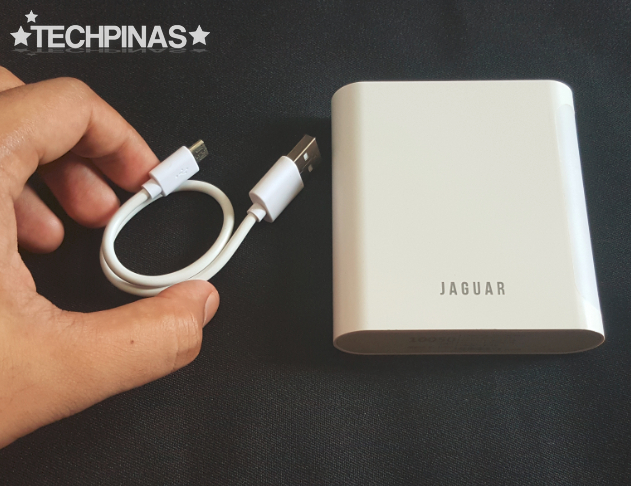 Jaguar Powerbank has two USB 2.0 output ports. Output 1 supports 1A slow charging while the second one can handle 2A output for fast charging. There are four LED bulbs, which light up when you click the power button, indicating how much juice is left in the powerbank. Double clicking the power button turns on the flashlight on the right panel that's made up of a row of white LED bulbs covered by a translucent hard plastic case. The flashlight has three levels of brightness that you can choose from by doubling clicking the power button. 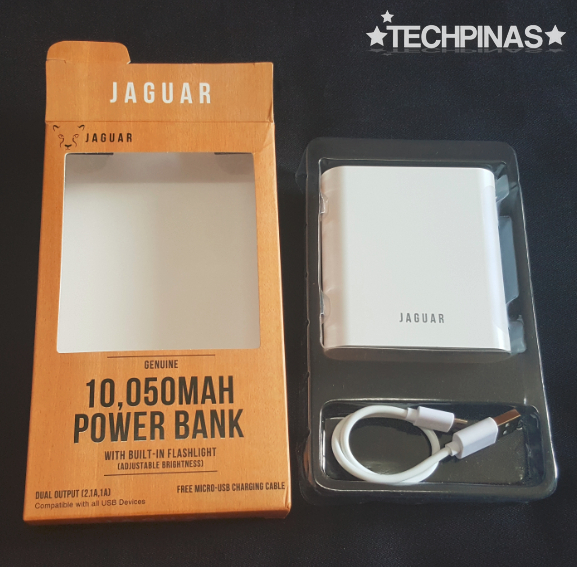 For more information about Jaguar Powerbank, feel free to give Kimstore a ring or to send them a text message at 0908-886-9799, 0917-503-8887, or 0922-885-9799.